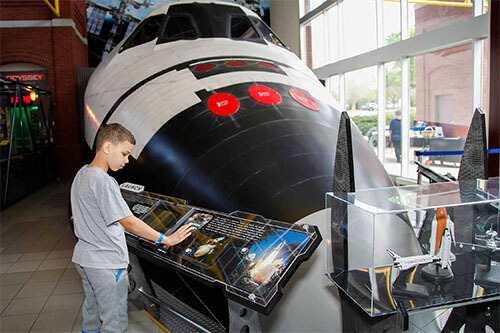 Part of Columbus State University’s Riverpark Campus, the Coca-Cola Space Science Center is an outreach center on the south end of Uptown Columbus, Ga. Our facility hosts the largest collection of NASA Space Shuttle Artifacts in Georgia; the Omnisphere Theater, a state-of-the-art planetarium; and interactive exhibits throughout the gallery. 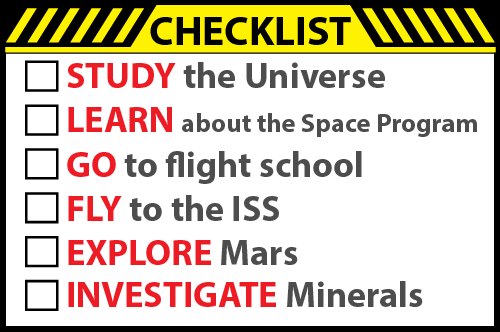 Plan to spend about 2-3 hours at the CCSSC so you have time to complete the Mission Accomplished Checklist by exploring our artifacts, taking in at least one Omnisphere show, enjoying the interactive exhibits, and even popping into the gift shop for a souvenir. Our physical footprint may not be large, but we offer a great experience for the whole family. 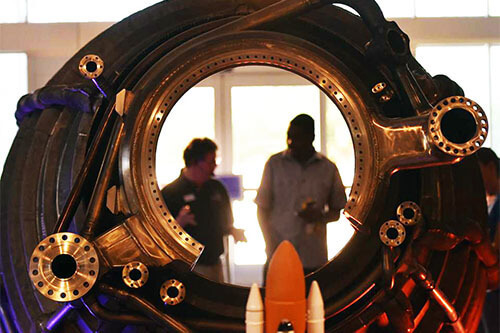 Please note we host student groups regularly – expect to interact with future STEM innovators! Can you accomplish the mission? 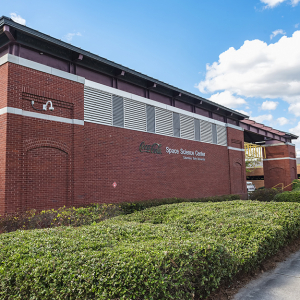 Parking is available in the front of the Coca-Cola Space Science Center and along Front Avenue past the CCSSC. These spots do not cost. Additionally, the CCSSC is located next to a public deck (located between Trade Center and the CCSSC). There is typically no charge at this deck, except during special events. Please do not park in the bike lane along the front of the building.